Join FSCJ Faculty and the South Campus Library and Learning Commons staff for a series of discussions on our favorite subject: books. For November, Prof. Missy Boyd will be discussing Black Man in a White Coat. 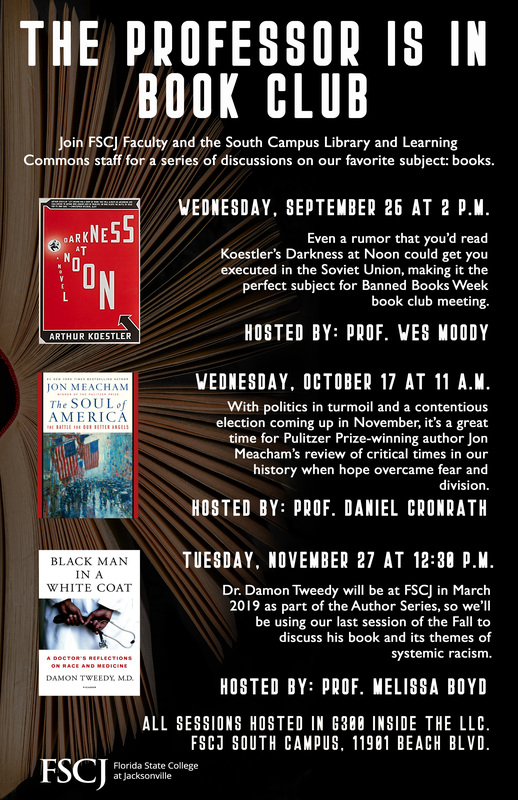 The author, Dr. Damon Tweedy, will be at FSCJ in March 2019 as part of the Author Series, so we'll be using our last session of the Fall to discuss his book and its themes of systemic racism. All sessions will be hosted in the South Campus Library and Learning Commons, G300.